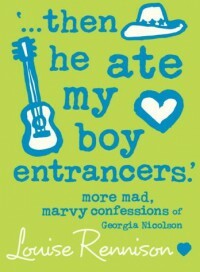 "...Then He Ate My Boy Entrancers" - Louise Rennison - review - Books! Wonderful, as always. I enjoyed the 6th installment of the Georgia Nicolson series. This one is longer than the others, and it does seem like more things happen! 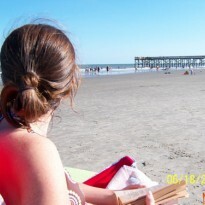 The excitement surrounding Georgia's trip to Hamburger-a-go-go land was fun to read about, and it was neat to see America through her eyes. The scene where Georgia's shoes were too small made me cringe! ouch! You will know what I mean if you read this story !! As always, she is filled with confusiosity over who she should love, and the lucky girl has several options! Like always, this story was vair, vair funny, and ended in a cliff hanger! Time for book #7!